Same great formula now with 100% Post Consumer Recyled (PCR) packaging. This moisturizing conditioner is so gentle and moisturizing that it can be used as a conditioner for color-treated hair and a conditioner for dry hair. The thirst-quenching formulas of Hydrate provide superior replenishment, touchable softness and extraordinary color protection. Advanced Hydrating Micro-Emulsion Technology deeply hydrates to revitalize dry hair and enhance color radiance, while Jojoba, green tea and sage condition. Multi-weight proteins of soy, oat and wheat help strengthen, rebuild and repair, and Pureology's exclusive AntiFade Complex® protects colour vibrancy. A final touch of our signature aromatherapy blend of Peppermint and Corn Mint essential oil. 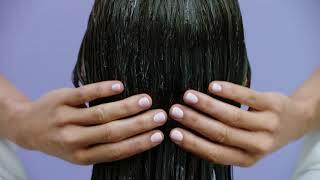 Apply a quarter-sized amount to shampoo-ed hair, lather and rinse. For maximun color care, use with Hydrate Shampoo. PRO TIP: Use Hydrate Condition on clients with flaky, itchy scalp (especially in the winter months). The Hydrate systems' refreshing peppermint oils will help soothe itchy irritations. Hydrate® Condition is rated 4.7 out of 5 by 213. Rated 5 out of 5 by Paola84 from Great product I love this conditioner! I just wish it was easier to rinse off my hair. Rated 5 out of 5 by Julie7 from I would definelty buy this again! I recently tried a sample of Hydrate Conditioner, and I would recommend it to anyone looking to find a conditioner that enriches their hair. I had never seen this product before, but will definitely be buying it in the future. The Hydrate Conditioner had a great texture (wasn't thin and watery like some), it had an amazing smell (which I prefer in any conditioner I use), and it left my hair feeling perfect! A lot of times products can dry out my hair, and this did the exact opposite, it left my hair feeling clean, healthy, and hydrated. Rated 5 out of 5 by Angel2 from Amazing Product The Pureology Hydrate Condition was the best conditioner I have ever tried thus far. It moisturized my dry hair and it felt silky smooth after washing it off. I recommend this conditioner! Rated 5 out of 5 by Liset from I would buy this product again and again I have been using this conditioner for about two months together with the shampoo and I can feel the different between the different from before and after. My hair feels very moisture and healthy. Rated 5 out of 5 by Kayla2 from So sleek and smoothe! The hydrate conditioner made my hair feel so silky and hydrated. It was easy to comb through and smelled amazing! Rated 5 out of 5 by Geri from Love this conditioner When I opened the package to use the conditioner I was pleasantly surprised to have a fresh minty scent. You don't need much of the product to get great results. Left my hair feeling soft and smooth with very little tangles when brushing. Helped define my curls and minimize frizz. Rated 3 out of 5 by Leticia from I definitely would buy pureology. I used it after the shampoo and I love my hair appearance.